A favourite childhood character for generations of families. This mischievous rabbit is a main character of our upmarket, nostalgic, sentimental collection! 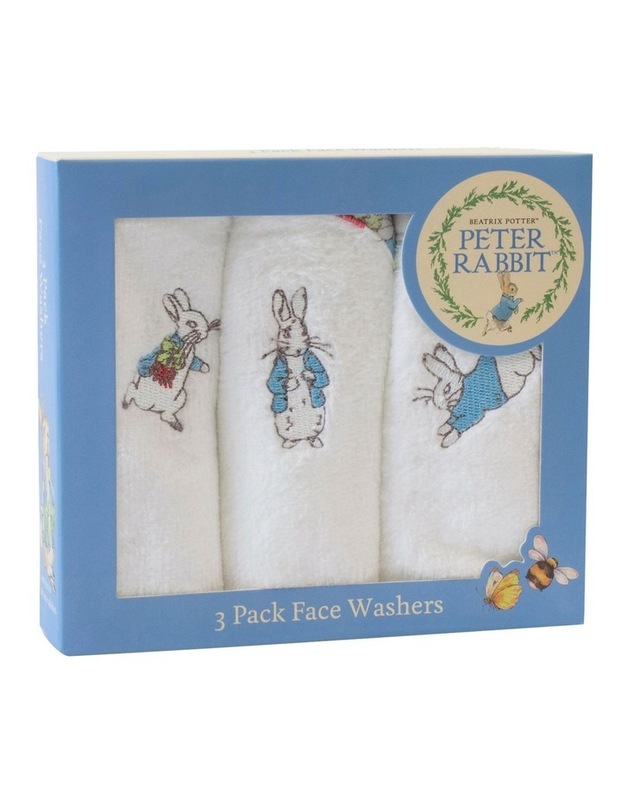 3 pack soft cotton towelling face washers are a very versatile & highly practical bathtime accessory. Make every bath time a fun adventure! * Perfect for use on babys delicate skin. 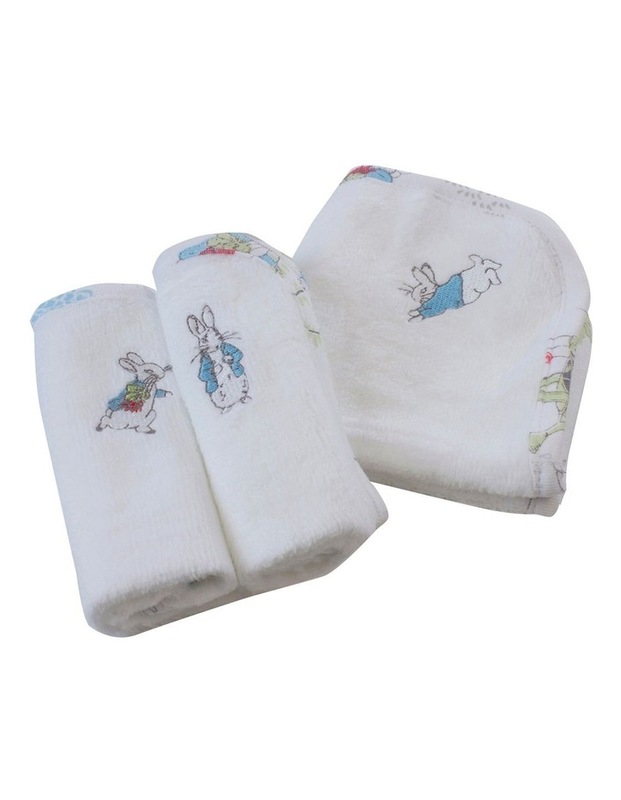 * Luxuriously Plush & Absorbent Cotton / polyester rich towelling.